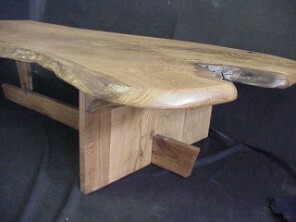 The Oak tree bench is simple, uses beautiful swirling grained Kansas Burr Oak. The bench seats are 11 to 12 inches wide. 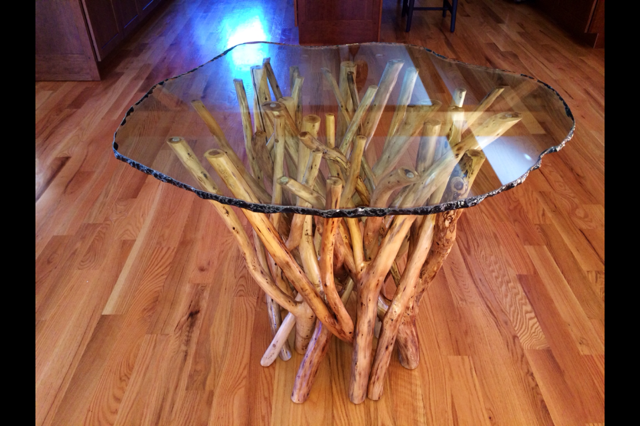 The legs are full round seasoned branches that are selected for their interesting character. It fits most any decor, works well outside or in, and ships easily anywhere via U.P.S. Shipping costs ARE included in costs, below. Expect shipment within 3 to 4 weeks. 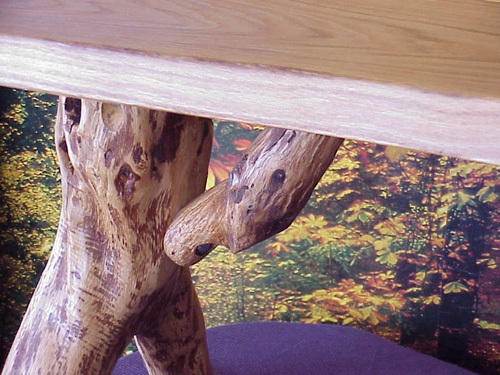 These tree benches ship via U.P.S. 3 day ground. EMAIL Mike at Rustic@wtciweb.com ( copy & paste ) OR click the email link below..